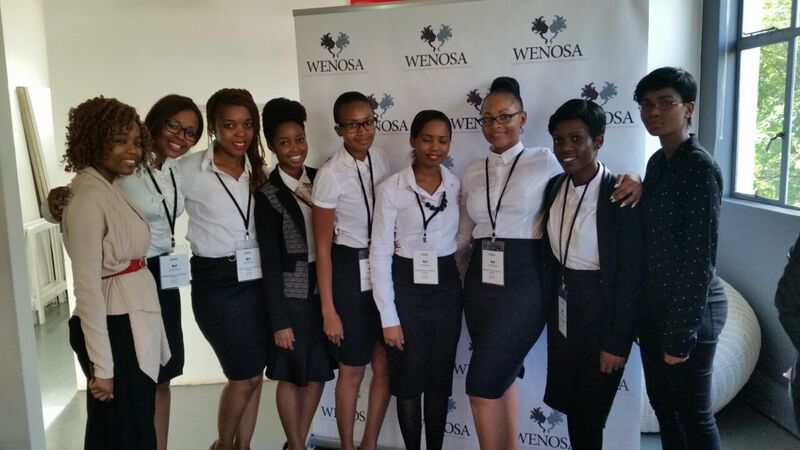 Over a month ago I had the privilege of helping to organise WENOSA’s (Women’s Empowerment Network of South Africa) first seminar. 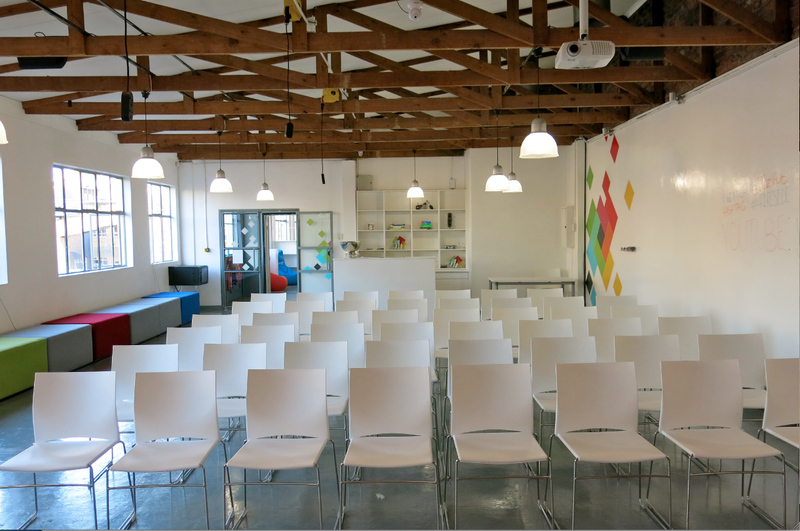 The event took place at the JoziHub, a minimalist venue which has been dubbed as a “co- creation space dedicated to creating sustainable change in Africa” situated in the heart of Johannesburg. As our esteemed delegates poured into the venue, the air was filled with irrefutable electricity and anticipation. I observed the scene from the reception table in awe of the fact that this seminar was actually happening. There was a certain disbelief within me that made me want to pinch myself just in case this was another one of my wild, ambitious dreams. But the words of our saviour began to resonate in me, they assured me that this was not a dream; he had boundless plans for my life… plans to prosper me. So with a deep breath I took it all in and realised that today was the day that we had created a platform for young, black minds to be changed and moulded into something our future country would thank us for. As the event commenced and everyone settled, our first speaker Ipeleng Mkhari, a black, female, self- made millionaire took the stage. She opened up her talk with a heart- wrenching story about a woman who at a very fragile age lost both her parents and became an orphan. This little, broken girl went on to become one of South Africa’s most influential people in business. The one thing I took from her life story was that “the end” is when you declare it. As long as you have air in your lungs and the will to succeed, nothing is impossible. No dream is too big. Other things she touched on were the myths in the business world; one of them being the lack of support from other women. Ipeleng confirmed that women-to-women support is actually a real challenge and not a myth; she said in order to fix this we needed to sit down and challenge one another’s thinking until this is no longer an issue. I believe it is one of our greatest weaknesses as women because we have now moved to an era where the world is at our feet. We have moved from a world that treats women as second class citizens to a world that is slowly transcending to equality across the field and in order to be counted you simply have to arrive. Because of this, we are under so much pressure… not only to dispel myths about women in business and leadership, but just about women in general. Ipeleng also gave some solid funding advice as well as her key to success which is: knowing who you are-fundamentally. Be unapologetic. Yes we are nurturing but if you are aggressive that is who you are. The second speaker that we had was an amazing and charismatic woman named Nerina Visser who is the director at ETF; a company which has dubbed itself as the home of Exchange Traded Funds. Nerina opened her talk by stating the deplorable facts about our country’s financial health. She discussed a bit of what financial freedom meant to her; she said it was living the life you want to live without having to work. Thereafter she hit us with a “97% of people never achieve financial freedom 2/3 people will rely on their children to support them.” statistic which sent a wave of panic across the room. A much needed wake-up call might I add. Nerina then went on to explain the difference between saving and investing where she said that saving was putting money away that you plan to spend again. The important thing about saving is that capital must be preserved; therefore make sure it’s safe and there when you need it. Investing is money you will never get because it will keep working for you, an income- generating asset basically. I loved her investment analogy where she said investing is like baking a cake, you need to get the correct ingredients together (your portfolio) and once you’ve compiled that, all you really do is sit and watch that cake through the oven’s glass window. Don’t poke or prod the cake if you want it to rise (if you want to see the power of compound interest). At the end of her talk, there was a Q&A session which I used to ask her what her best financial move has been to date. She responded: “Investing in myself” and I think this answer was brilliant! 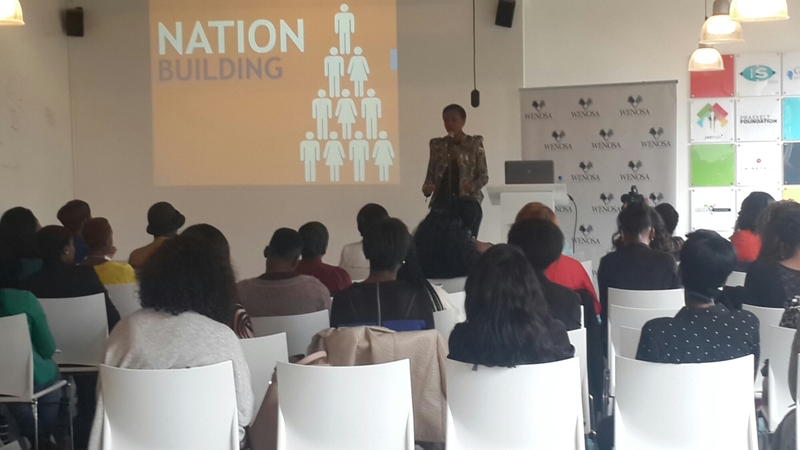 Nomsa Chabeli, who was our third speaker, is the group head of marketing at Multichoice SA. Her talk, which I had waited for with baited breath (this is a major understatement) addressed life in corporate. I feel like this was the talk I had been waiting for all day because this is now my big, new, exciting world; and Nomsa was a black woman who had made it. She opened up her talk by telling us how she believes a major part of her success was someone, within the organisation, who believed in her enough to take a chance on her; someone who was fully aware that she came with the dynamic of being black and being female in a white, male- dominated industry; In an environment where the decision-making process depended on who went to school with who and clearly this was an element black people were disadvantaged in. As Nomsa was wrapping up, she touched on the subject of marriage and mentioned that this too is a career decision because you need to pick someone who is going to support your choices, because if you do not find someone who supports you, you will find that you never achieve everything you set out to do. You’ll be 80 resenting and regretting the path you took. Her advice on finding mentorship within the organisation you work for was that when you approach the person you would like to be mentored by, make sure you have researched them, find out what makes them tick because mentorship is much more than an exchange of advice and a vehicle of opportunity for the mentee, it’s an actual human relationship. Bathabile Makgethi ( MD of Purposefully Branded) was a hit at our last event and we just had to have her come once again. Bathabile was the final speaker of the day and spoke about Authentic Leadership. Before she began she had all the delegates stand to their feet and began the process of striking a high power pose for 60 seconds (To read more about how and why women should strike a high power pose, click here). The second activity Bathabile asked us to partake in dealt with how to “learn to get your voice in a room” and the aim of this particular activity was to ensure that we see the importance of speaking up and the power which lies in literally adding your voice in any room you might land in so that you are counted and matter. Anyone who has met Bathabile will tell you without a doubt, about her graceful, passionate and warm nature. She has a way of connecting with your inner self and speaking to your heart. She went on to explain what Authentic Leadership was, saying it’s all about just being real! You are perfect as you are. It’s ok to admire people and traits but you must accept you as you are and not want to be anyone else but you. She told us that someone who is passionate about their purpose leads with heart and head (which is something I totally see in her). Just like Nomsa, Bathabile expressed the importance of create and developing long term relationships. She took it a step further though and highlighted the importance of compassion, humility and treating everyone with dignity and respect with every human interaction. She said to make sure that when people speak to you that they leave with their dignities. You are the future relationships that you will need and treating people well should just be a no brainer. Instead of thinking up ways to win people over with emotionless strategies; connect with peoples’ hearts- then after you’ve done that there’s nothing they won’t do for you. This needs to be something that becomes second nature to us because quite frankly, as children of God, the world is too harsh for us not to be the salt of the earth and the candle in the night. In closing, Bathabile mentioned that Authentic Leaders are self-aware and are very comfortable in their own skin, they allow people their own space because they realise there is power in originality. This is the longest article I have written to date. If you made it to this point, thank you and well done for absorbing all this vital information! I would not be doing the event justice if I began to explain how amazing it was so I have just left it at the facts (which are amazing :)). Overall, I believe that the event was a great success and look forward to being a part of many more. Thank you so much to everyone in WENOSA for all the hard work and dedication. All you ladies are the future- literally! They were never ready for such black excellence. Previous Post Need some motivation?